Dentists typically suggest getting dental crowns for one of many reasons. There may be a weak tooth that needs additional strength or a bridge. Maybe you have a tooth with severe stains or discoloration. Alternatively, you might simply want to improve the appearance of your teeth. Crowns are useful for both restorative and cosmetic functions. There are cases when a crown is required to shield the tooth and ensure it functions properly. At other times, having a crown has no valuable advantage aside from enhancing the look of your smile. Multiple types of crowns are available, including porcelain, stainless steels, ceramic and resin. Each of these crown types has their advantages and drawbacks. According to the American Dental Association, you should consult a dentist for dental evaluation to get the best fit for your oral issue. How many visits does the process take? The process of placing dental crowns typically requires two separate trips to the dental office. During your first appointment, the dentist will check the tooth to ensure it can hold a crown. They will then proceed to prepare it for a crown by filing or scraping it down. Otherwise, if the tooth has suffered severe damage, the dentist may need to add fillings to increase its surface area for crown placement. After filling or reshaping the tooth, the dentist will make a mold of the tooth and the surrounding teeth. This will be sent to a dental laboratory so that a matching dental crown will be made. At the end of the first appointment, the tooth will be given a new temporary crown to serve as protection before the permanent crown is ready for placement. The second visit happens after the permanent crown arrives. During your appointment, the dentist will remove the temporary dental crown. After which, they will place and bond the new crown on the tooth using a special adhesive. It may take a while before you become familiar with your permanent crown. 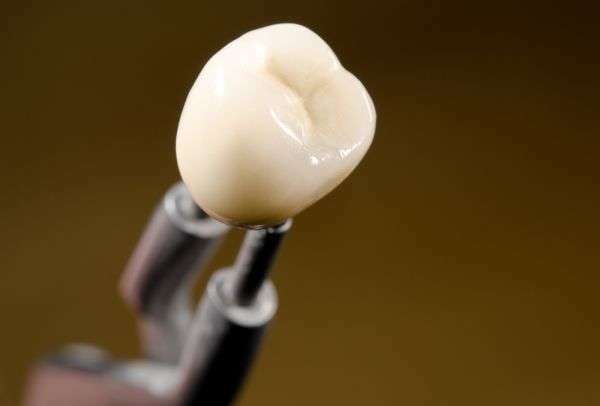 After some time, depending on the material, the crown will look, feel and function as a healthy tooth. If you have further questions about the dental crowns, make sure you ask the dentist. Many dentists also recommend dental crowns because caring for them is easy. You can maintain the crown like your natural tooth. Dentists recommend brushing and flossing at least twice daily. Do not hesitate to reach out to your dentist if anything odd happens. They will be able to recommend the course of treatment to keep your mouth healthy. Are you considering getting a dental crown in the Alpharetta area? Get more dental crown information at https://www.familydentistryonline.net. « Are Dental X-Rays Necessary at a Dental Check-Up?